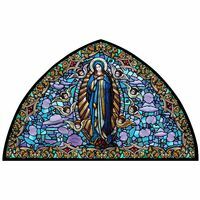 Brilliant colors and an intricate design surround the Virgin Mary, making this a truly spectacular arched stained glass window. 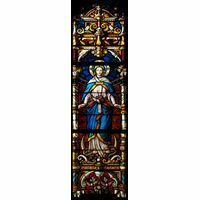 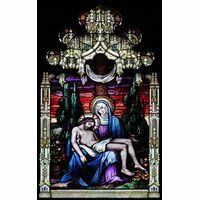 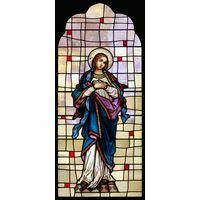 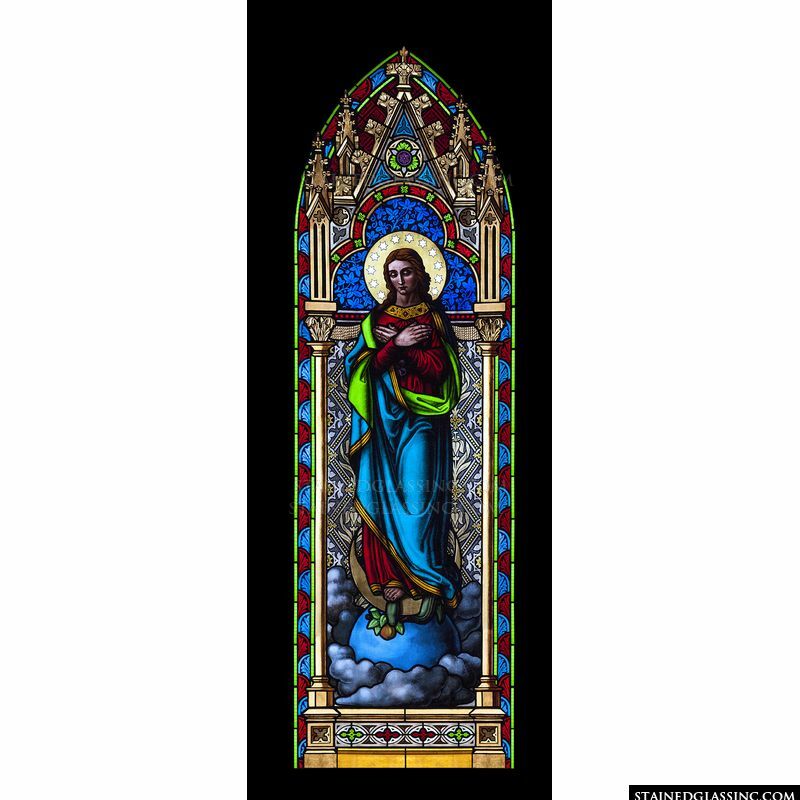 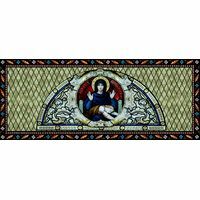 The skilled stained glass artists at Stained Glass Inc. have created a magnificent stained glass panel that combines an array of color, shading, and texture techniques to offer a wonderful interpretation of Mary as the Mother of Jesus. 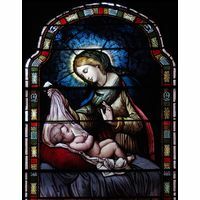 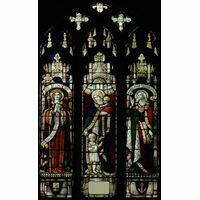 This is a stunning choice for a church, cathedral, or home.